I admit that I don’t find this topic as pretty as yesterday’s, but it’s too pervasive in Thailand to ignore. 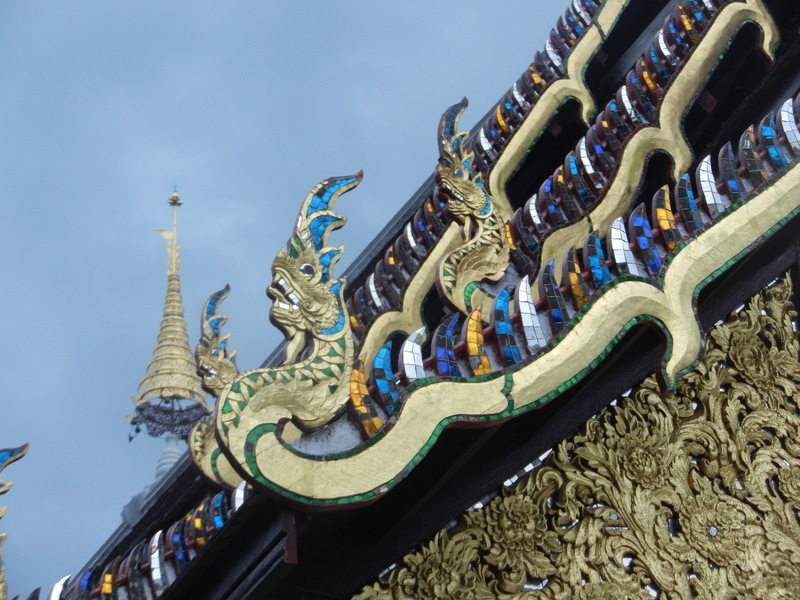 I saw these serpents in temples all over Thailand, including Chiang Mai’s Wat Duang Di (above). They’re key parts of perspectives that Thai temples give about how the world is ordered. And Thais have created ways to make them enjoyable too. This guy didn’t seem too concerned. He was painting the wat’s stupa. I asked if I could photograph him. He not only consented, but began to pose. 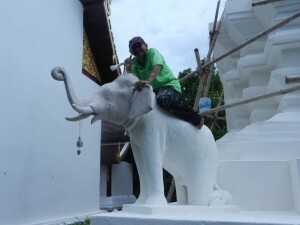 In Buddhist and Hindu mythology, elephants support Mt Meru, the mountain at the center of the world. Was he being disrespectful? Fun (sanuk) is sacred in Thailand. Thais work as hard as anyone else, but it’s important to have fun while doing it. 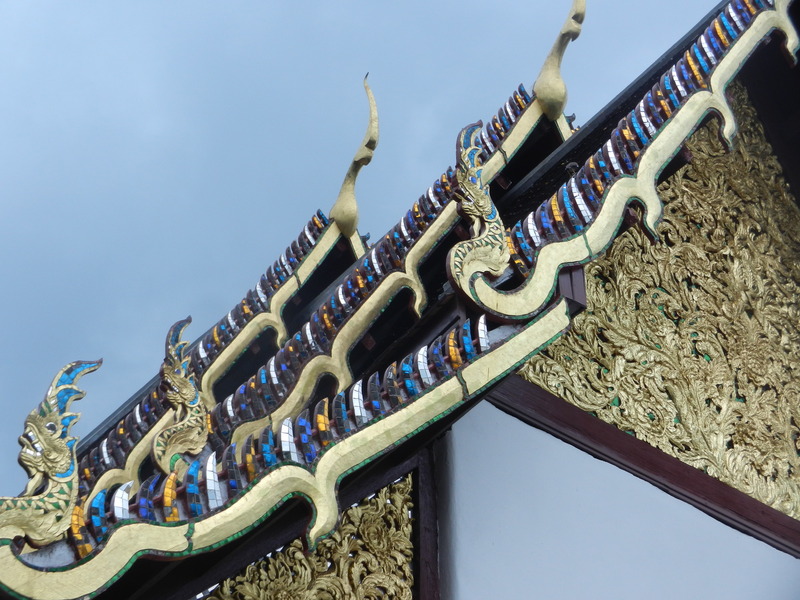 Though the nagas crown the roof over the wall to his right, he still felt that he had room to have a good time. Gee, nagas are complex. How can they be so menacing and permissive at the same time? The answer is a key to how people in Thailand think. Slide into the next post on serpents in Thailand, and find out how their images help unify Thai concepts of the world. If you’d rather fly than slither, explore how another culture (the West) has organized its concepts of the world around diffferent forms.